Glaucoma is a neurological condition where the optic nerve, located at the back of the eye becomes damaged. Most commonly the damage is associated with a pressure rise inside the eye, but not always. As this nerve transmits light impulses from the eye to the brain any insult to this nerve can have profound impact on the vision. The optic nerve appearance of early glaucoma takes on a very characteristic appearance. This unusual optic nerve anatomy can be detected before symptoms arise. Frequent 2 yearly visits are recommended to screen for early signs of damage. This subset of glaucoma is less common as optic nerve damage results when eye pressures are in a normal range. Some people have associated history of migraines, arterio-venous malformations, impaired vasogenic control,eye trauma, or brain injury. This is the commonest form, and is accompanied by pressure build up inside the eye. The eyes internal fluid pressure builds up, either due to excessive production, or through impeded drainage. The mechanism of damage involved is believed to be different from Low Tension Glaucoma. This is a specific subset of glaucoma whereby the internal eye drainage system closes off leading to excessive pressure spike within the eye and fast destruction of the optic nerve. This glaucoma subtype is a medical emergency. People with very specific anatomy are predisposed to this attack. Found in new born babies whose eyes drainage system has not formed properly. The baby can have a whitish glazed over look of their pupils. Can I tell if I have Glaucoma? Usually no, unless permanent and profound damage has occurred to the Optic Nerve, at which stage treatment is often too late. 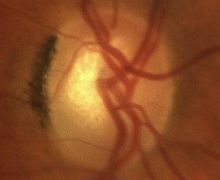 In the rare form of glaucoma, called angle closure glaucoma attack, individuals may complain of headaches, and light sensitivity, and blurry vision. This is a very rare and aggressive form of glaucoma. Generally glaucoma risk rises above 40 years of age and every decade thereafter. Having relatives with the disease, being on some medications, having narrower eye drainage channels, having history of previous eye trauma,being myopic, increases your risk.There more risk factors at play, please discuss these with our practitioners. We are here to help, only a phone call away.